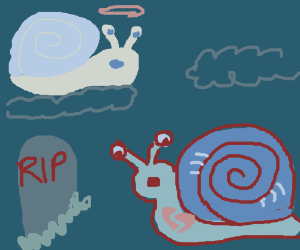 Rest in peace, snails Love the vox in the second half of this tune, nice work! Rest in peace, snails <3 Love the vox in the second half of this tune, nice work! Heavy funeral music. Skunks got all our (garden) snails. This track is an amazing tribute to your snail brethren, RIP. Love the tape stop beat and the garble sound. Favorited! This track is an amazing tribute to your snail brethren, RIP. Love the tape stop beat and the garble sound. Favorited! Rest in peace, snails &lt;3 Love the vox in the second half of this tune, nice work! GROOVY. I imagine being an audiophile snail dancing to the rhythm.